Death is said to be the great leveller – even when it comes to the paperwork. The private life of Charles Dickens would have made the perfect plot for one of his own stories. His novels made him famous around the world, and he created some of the greatest characters of all time – including one of the most familiar fictional Christmas characters – Ebenezer Scrooge. Dickens died aged 58 in 1869, a very wealthy man – his estate worth the equivalent of £50 million pounds today. He left money to all 9 of his surviving children. He then writes of his wife of over 30 years, Catherine “I desire to simply record that my wife has been in receipt from me of an annual income of £600 [around £300,000 in today’s money] while all the great charges of a numerous and expensive family have been devolved wholly upon myself.” There are no thanks or expressions of affection for his wife. The phrasing is really harsh – just a laying out of their financial settlement. Even more strangely, the first person mentioned in Dickens’ Will is not his wife, or even a member of his family but a lady named Ellen Lawless Ternan who is left the sum of one thousand pounds (around £1 million today). So, who is Ellen Turnan and what is she doing in Charles Dickens’ Will? His biographers claim that Charles had fallen in love with a young actress Ellen Ternan – he was 45 and she was 18 and they began a relationship which lasted to the end of his life 13 years later. It appears that he pushed his wife Catherine out of his life and had a legal separation drawn up. This explains why Dickens gave Catherine the cold shoulder in his Will. His ruthless streak was also evident in the way he dealt with gossip about the affair. He published a statement in his magazine which stated “I must solemnly declare that all the lately whispered rumours are abominably false.” If the affair had become public at that time it could have ruined his reputation, and that of Ellen, whom he desperately wanted to protect. What a wonderful final Dickens plot! 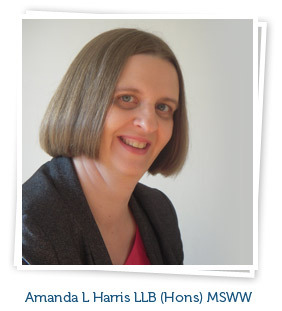 If you would like to discuss making your own Will or a funeral plan please why not contact me, Amanda Harris, Your Local Will Writer. I am also a representative of the Safe Hands Funeral Plans. Safe Hands is a member of the National Federation of Funeral Directors.